I voice, record, and produce all types of audio projects. Two of the most effective and fun types to record are two-voice, dialogue radio commercials and explainer video narrations. They catch the ear of the listener. These types of voice overs are more creative and fun in presentation, and performance than other genres. We are bombarded with sounds, messages, and images, all the time. Audio presented these days, especially in advertising, needs to grab the attention of the listener. It has to do this in the first few seconds. You have a very short amount of time to grab their ear, create interest, and get the message to stick. Utilizing humor, multiple voices, and other techniques can achieve these goals. A radio commercial does not have to be funny to be effective but commercials using dialogue can help make the message memorable. Two-person dialogue spots should be written to intersect with common human behavior. They work best if they setup up realistic, humorous situations that are relatable. It’s always fun to work with other voice actors in performing these kinds of commercials. Sometimes the two actors are together in the same studio. But most of the time, they are recorded at the same time from two different studios, or each part can be done separately and then put together by the editor/producer. I’ve enjoyed working on a few two-voice projects and auditions with some of my voice over friends. These voice artists are very talented and I always enjoy working along side them, in person or virtually, in studios across the country. This one is an audition I enjoyed being a part of with Kendra Hoffman. She is a very talented voice actor. Her many styles and abilities make commercials come to life! Two-voice spots give vitality, life, and energy to the message. Another great voice talent I work with is “The Red Headed Voice.” She is Karin Allers. Here is one of my favorite auditions we worked on together. Another “wife and husband” scenario. It’s always fun to collaborate with other voice actors and work on these types of radio commercials and productions. I not only love to voice these, but I love to produce and edit them as well! Another genre of voice over work that allows for creativity in style and performance, is explainer videos. Usually an “explainer video” is a short animated video that explains a product, or service utilizing engaging, and attractive visuals. It focuses on “explaining” the idea, product or service, in a way that makes it interesting and compelling. As part of a blog that Kendra Hoffman wrote and is published on Adelie Studios website, here is a short explainer narration I recorded. Adelie Studios specializes in animated explainer videos. Kendra’s full blog titled, Gender in Your Explainer Video, is available here , and an interesting read! Use the tools you have at your disposal to cut through and grab the attention of the listener. 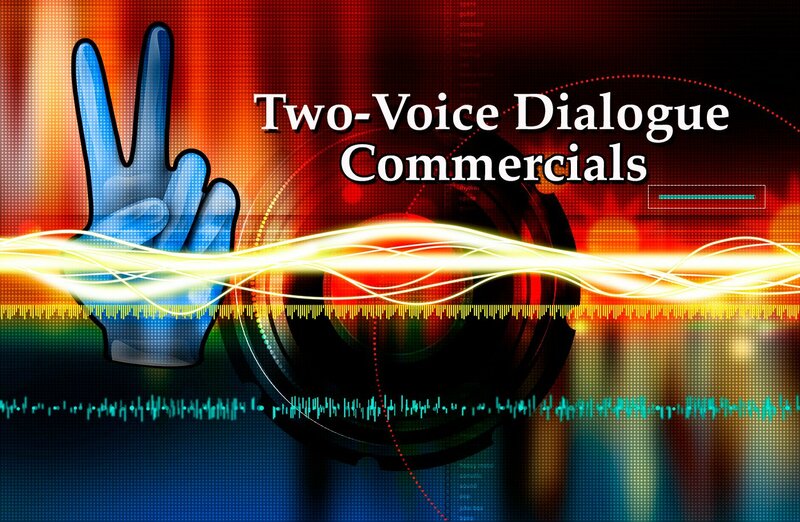 Two-voice dialogue commercials and Explainer Videos are both excellent choices to grab an ear! Twitter is a Gold Mine! 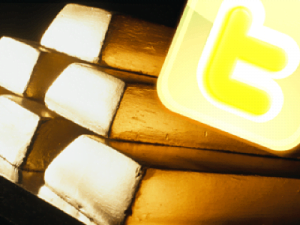 Just a little more than one year now on Twitter as I am fast approaching 4,000 Tweets. At first it seemed ridiculous to me – what could one do with only 140 characters and why would anyone even be interested in what I would tweet about?! And who would I follow?! So I started off just learning the technology and the protocol. It didn’t take long to catch on, but it did take a while to learn how to use Twitter in a way that would be useful to me and my voiceover business. I still have things to learn and hope my follower base increases significantly, but Twitter has become a gold mine! Perhaps not in a direct monetary way, but as far as the networking, knowledge, and resources I have found! The secret to Twitter being worthwhile is in who you follow. It took a while, but soon enough I discovered many excellent, knowledgeable, and entertaining folks to follow…some excellent contacts, and now good Twitter friends. Recently, while attending an industry conference (VOICE 2010) I connected with many who I had previously only known on Twitter. It was wonderful! All of a sudden we were talking, sharing stories, and enjoying each other as if we had known each other for a very long time. There are some on Twitter I have not actually met yet, but there is still a real connection! They are so supportive to me and I try to be supportive back. Twitter is about sharing information and support. It is a mutually beneficial relationship. I encourage you to explore the ‘Twitterverse’. Find people you would like to follow – those with tips, ideas, experience and knowledge about your interests and likes – business interests, life goals, hobbies, music, vacation destinations, just about anything you want to know more about! With a little digging you will find a gold mine with your name on it! Oh, and my Twitter name is @MikeRaphone – I hope you will consider following me!